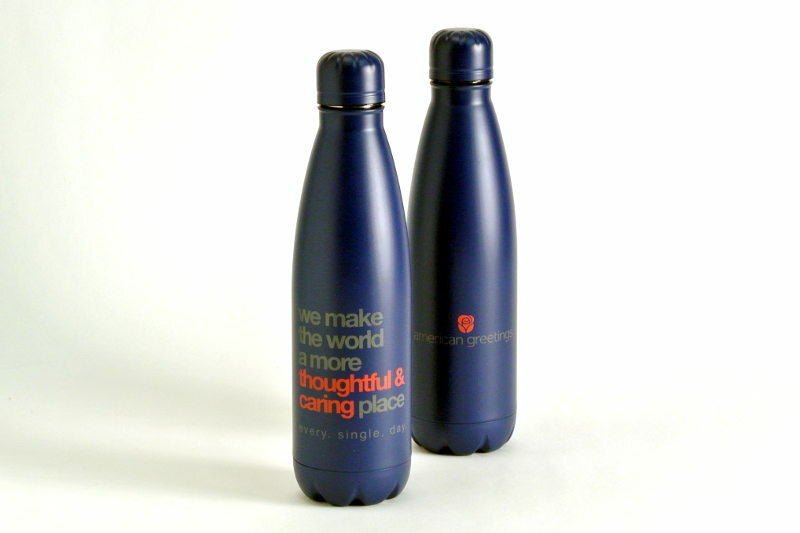 Copper Vacuum Insulated Bottle | Mirabel Promotions Ltd. Double wall 18/8 grade stainless steel with vacuum insulation. Inner wall is plated with copper for ultimate conductivity to keep drinks hot for 12 hours and cold for 48 hours. 26oz. 5 color options. Contact a Mirabel associate for more information. Call 866-966-0080 or send a message!